This week Lower and Middle School students participated in the annual National Geography Bee. Watch our new video about the OES Boarding progam. If you weren't able to join us earlier this week at one of our two on-campus State of the School presentations, you're still in luck! We have prepared a recap. As you are undoubtedly aware, there has been an outbreak of measles in Clark County, Wash. While no such cases have been reported in Washington County, and though we have no reason to believe that any of our students have been infected, we nevertheless wanted to share with you information about measles, immunity, and the protocols to follow in the event of exposure. The OES Ski Team has been trekking up to Mt. Hood for their first mountain training sessions. 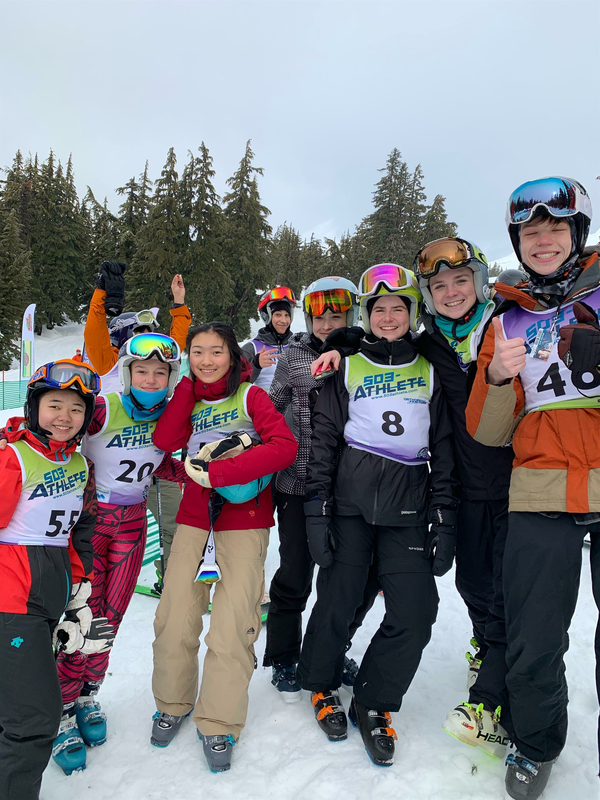 They've also had a few slalom races where the girls' and boys' teams both brought home a first place finish and four of our girl varsity racers finished in the top ten out of 48 Metro League Varsity Racers. This marks the first time since 2010 that OES has won both the Boys' and Girls races for the same Metro Race..